Published: July 12, 2018 at 10:19 a.m. Updated: July 23, 2018 at 06:47 p.m. Wondering if and how your NFL team can make the playoffs in the coming season? Adam Rank and Marc Sessler have you covered in this ongoing series, as they provide five reasons why each of the league's 32 teams will make an appearance in the 2018 postseason. Today, Sessler examines the Detroit Lions. By now, you get the picture: We're cycling our way through the entire league and attempting to piece together reasons why even the shoddiest of teams will make the playoffs. It's an exercise that ebbs and flows in terms of believability, but the Lions -- typically on the outside looking in -- have a new coach, a new identity and a franchise quarterback in Matthew Stafford. The Lions are bound to operate as a more balanced offense under Matt Patricia, but the first-year head coach was wise to retain play-caller Jim Bob Cooter. Detroit's creative coordinator has managed to maximize Stafford over the past two-plus seasons. Stafford's completion percentage totals since 2015 are the best of his career, while his 10 picks in each of the past two campaigns are also career bests. Same goes with last year's 7.9 yards per attempt, but forget the numbers: Stafford has played with more confidence and has seen the field better under Cooter. 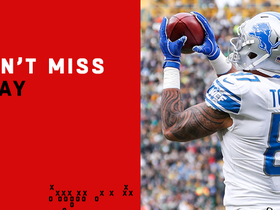 He was one of the league's more frustrating signal-callers for years on end, but the Stafford we saw last season finished as the NFL's sixth-most valuable fantasy arm and looked the part in real life. He can make every throw on the field and has a better cast around him than in years past. It's understandable if fans have typecast Stafford as a somewhat blasé presence, but here's what he really is: a top-10 quarterback zooming into September. With Jim Bob still dialing up the calls, I see a passer ready to deliver his finest season yet. Stafford's potential for 2018 feeds off an improved offensive line. First-rounder Frank Ragnow is a plug-and-play starter at left guard who saw his draft stock rise after analysts perused his tape. Left tackle Taylor Decker -- another first-rounder -- should bounce back after missing the first half of last season due to shoulder surgery. Center Graham Glasgow and right guard T.J. Lang are solid, while Ricky Wagner is a top-five right tackle. Here's where we pour one out for Bob Quinn, the Lions general manager who acquired all five of these starters over the past three offseasons. The line was a major issue during much of Stafford's career, but Quinn prioritized the front five and rapidly compiled a unit of athletic blockers tasked with opening up the offense -- which brings us to our next point. The Detroit ground game has been an area of concern for a billion sunsets. 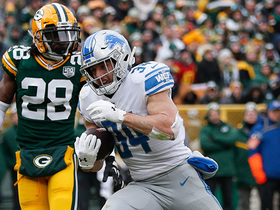 The Lions finished dead last in rushing a year ago with a league-worst 3.4 yards per carry. In the three previous seasons, they finished 30th, 32nd and 28th, a crystal-clear indicator of a team lacking any sort of identity when it comes to pounding the ball. The result? Stafford having to do everything alone for a team that often played from behind and struggled to keep leads. Patricia and Quinn reimagined the roster this offseason, trading up in the second round to draft Kerryon Johnson, who impressed the team enough this spring to be called a "three-down player" by running backs coach David Walker. The Lions also signed hammer-back LeGarrette Blount, whom Patricia knows well from New England. Blount and third-down asset Theo Riddick make this a committee backfield, which might drive fantasy owners nuts but worked well enough for the Eagles a year ago. There's excellent depth here, too, with Ameer Abdullah and Dwayne Washington suddenly part of a crowded house. The potential exists for a much-improved ground game, something Stafford hasn't enjoyed in eons. Detroit's 980 offensive snaps last season topped only four other teams. Their inability to string together clock-chewing drives points back to that lack of balance we mentioned above. The Lions have been a pass-heavy team as a result, which comes with its share of hazards. If the backfield clicks, though, Detroit has a reliable stable of pass catchers when it's time to wing it. 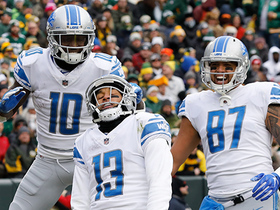 Golden Tate has produced four straight seasons of 90-plus grabs for the Lions, while showing himself to be a dangerous after-the-catch performer. 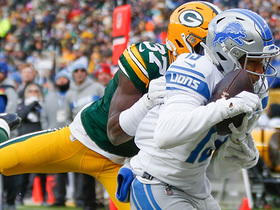 Marvin Jones zapped defenses for nine touchdowns last season and finished ninth league-wide with 1,101 yards through the air. Kenny Golladay is coming off an impressive rookie season. He popped on tape and showed moments of power down the stretch after returning from a hamstring injury. His 6-foot-4, 213-pound frame makes him a headache for smaller cover men. There's a chance Golladay will someday be the finest of the group, but he's No. 3 for now inside an offense that might use fewer three-wide sets. If any of these receivers miss time, T.J. Jones is ready to step in. Under ex-coaches Jim Caldwell and Jim Schwartz, the Lions floated on the outskirts of NFL relevance. The fan base has endured more than its share of losing, with older followers wondering if Detroit will ever win a Super Bowl before they pass from the planet. It's been a struggle to point to the Lions and say: Yes, this is their identity. They've lacked anything of the sort, but Patricia brings hope. The NFC North, in general, is a more exciting division with Patricia and new Bears coach Matt Nagy at the helm. Detroit's defense lacks star power and depth, but Patricia is a brainy, charismatic leader who specializes in making the most of his players. Learning for years under gridiron demigod Bill Belichick, Patricia is also paired with a general manager he knows and trusts in Quinn. Ownership is patient in Detroit. All of this matters to a first-year coach who might need some time to make this team sing -- but has a shot to author a turnaround in 2018.